perched high above the village of Alma on Falcon Ridge Drive off School Street. Guests appreciate the welcoming great room featuring a 24 foot ceiling finished in eastern pine. Southern exposure windows provide an unobstructed 180 degree panoramic view of the Bay of Fundy, the Nova Scotia shoreline, Fundy National Park and surrounding areas. The spectacular view is also seen from each guest room and the relaxing loft sitting area. The New Brunswick side of the Upper Bay of Fundy is designated a UNESCO World Biosphere Reserve. Explore all the reserve is famous for: The world’s highest tides, the unique geological formations including Hopewell Rocks, the exceptional beauty of our unique and sustainable ecosystems, fresh seafood, east coast music and unique artisan shops. From off street parking, easy lobby access, keyed guest entrance separate from hosts, spacious guest rooms with ensuite double whirlpool bath, fireplace, mini-fridge, wi-fi, and water from our own well completely separate from the village of Alma’s water . 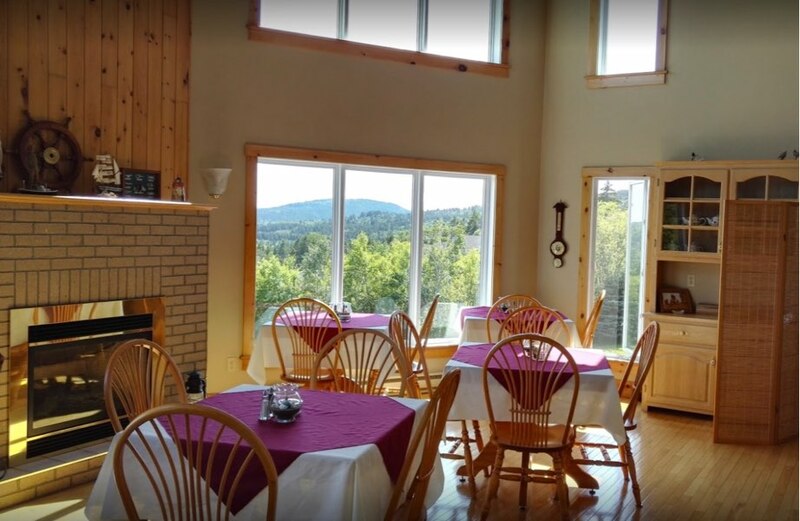 . . to our tranquil location, Falcon Ridge Inn offers warm hospitality, many guest amenities and a delicious home-cooked breakfast to make your stay complete. 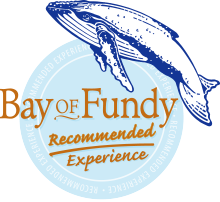 Falcon Ridge Inn is a “Recommended Bay of Fundy Experience” partner. Great location, super breakfasts and a welcoming and informative host. Modern facility with relaxing atmosphere. My wife and I had a wonderful stay.